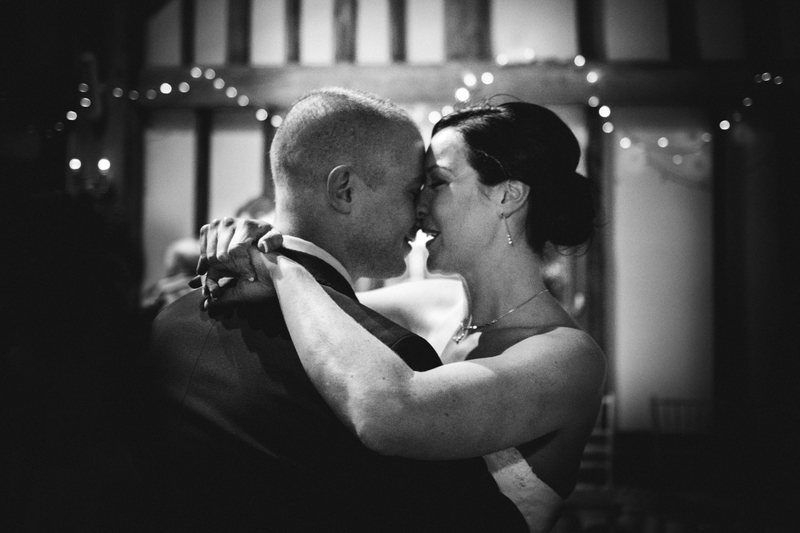 This is the second in a series of blogs giving inspiration and advice to couples looking to book the perfect wedding photographer for their ‘big day’. Bear with me for a moment – let’s start with a little bit of history. 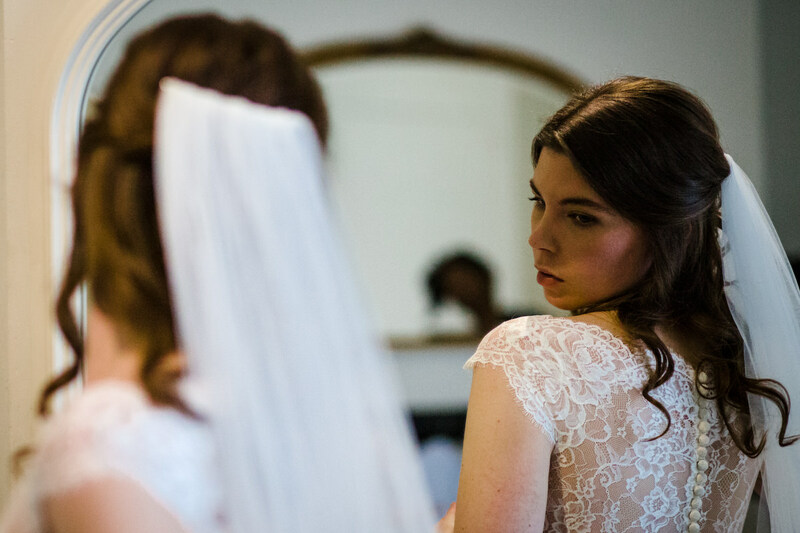 Documentary wedding photography, sometimes called reportage or photojournalistic wedding photography, is much more popular now than it used to be. 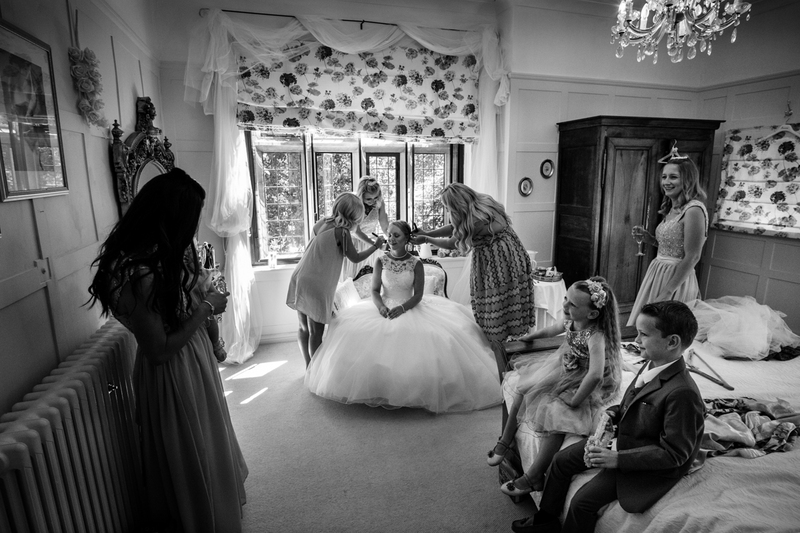 The demand for natural, real and candid images that tell the story of a wedding has grown hugely in recent years, following the trend in all mainstream media towards a more candid and revealing view of the world. Long gone are the days when couples were happy with a few formal snaps in front of the church or at the reception.  I say ‘following the trend’, but it was actually photography that first developed this journalistic visual style in the mid-20thCentury with the likes of the great French photographer Henri Cartier-Bresson, war photographer Robert Capa and their famous photo agency, Magnum, leading the way. 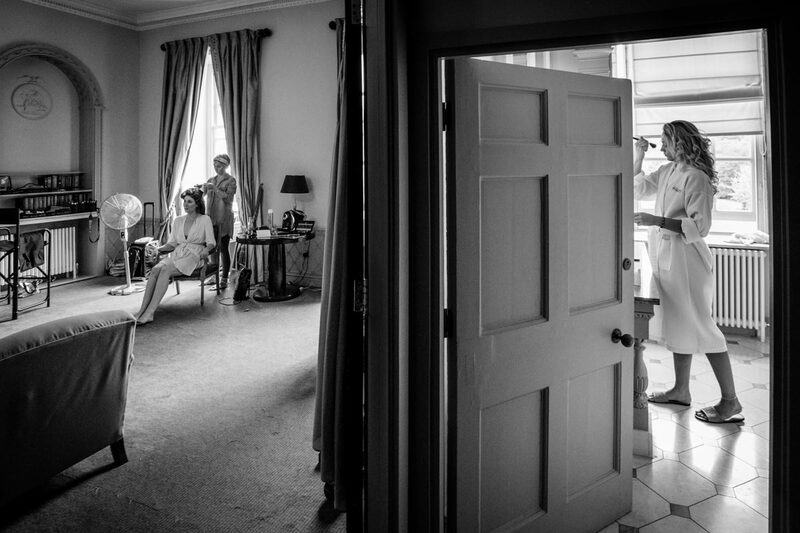 So documentary photography has been around for many decades, but really only in the last 10 years or so has it taken off in wedding photography, hugely encouraged by the advent of digital photography. 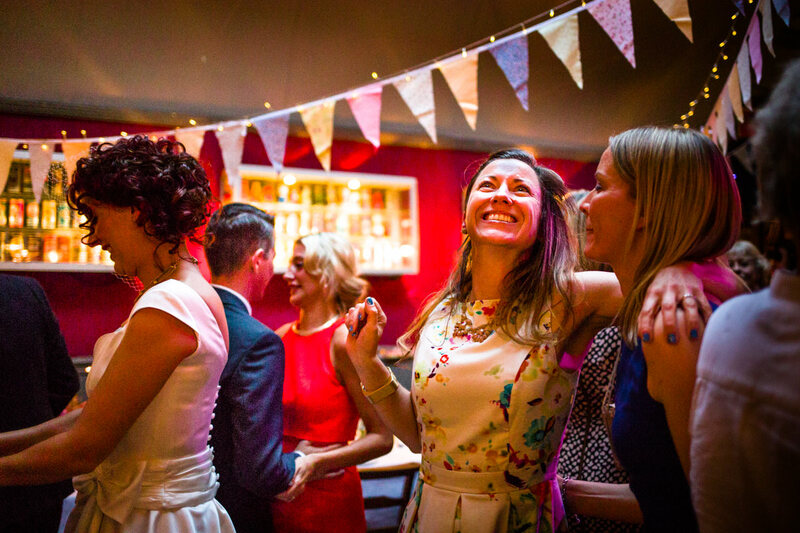 So what is so good about real documentary wedding photography? All couples want to look great on their wedding day, but that doesn’t mean that the photographs need to be staged. 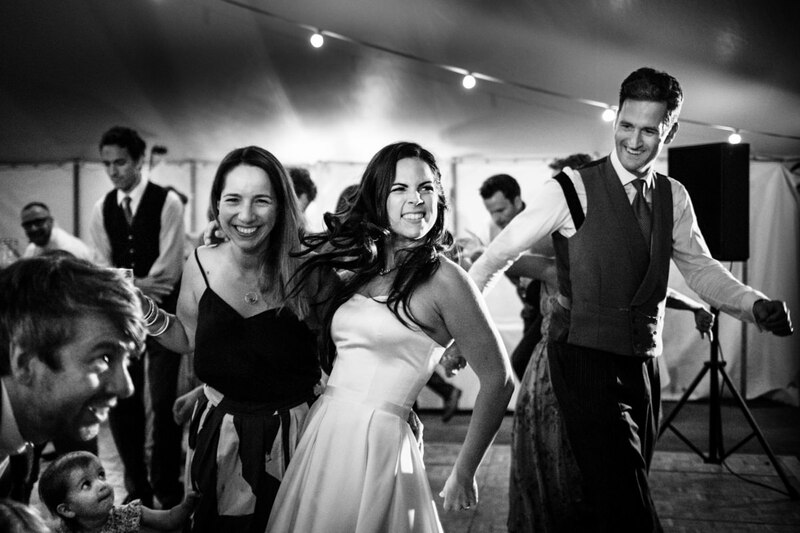 Of course, most couples want a few formal photographs, and I, like almost all wedding photojournalists, are always happy to oblige – in fact, it can be a very creative part of the day. However, I guarantee it will be the natural, unposed images from your wedding that will be most cherished by couples and their family and friends in the years to come. As long as they are skillfully and thoughtfully composed, of course. 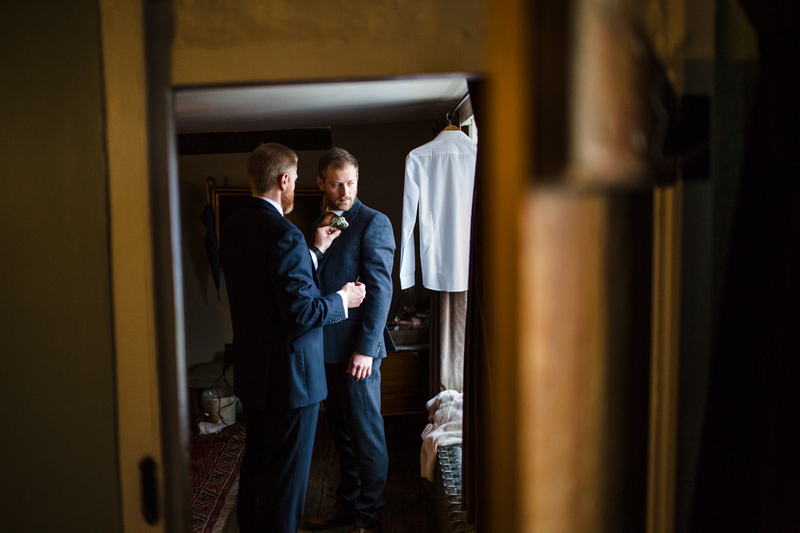 While many wedding photographers now claim to be ‘documentary photographers’, very few actually are, and even fewer have the skills to tell stories with well-composed pictures full of emotion, beauty and humour. 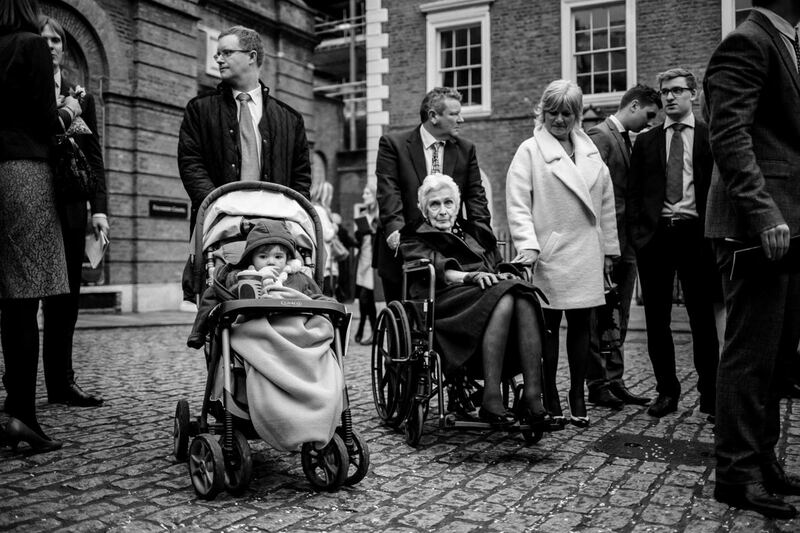 Documentary photography isn’t simply about taking pictures of people not looking at the camera. Anyone could do that. Real reportage photographers are looking to tell a story – each picture should tell us something, stir some emotion in the viewer. A picture that tells us an authentic, real story will always trump a hundred posed images. 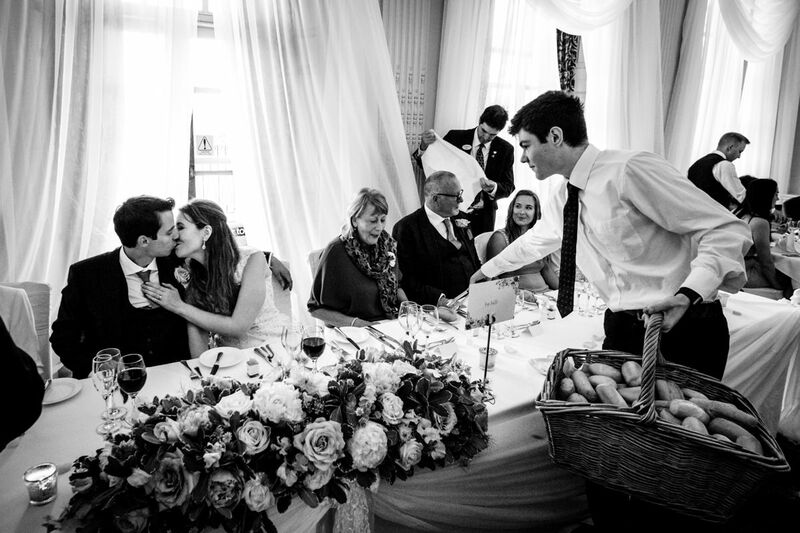 It could a be single image that tells a story like the one below from a wedding at the Wesley’s Chapel in London. This image relies on my noticing the juxtaposition of young and old and the similarity of their mode of transport. 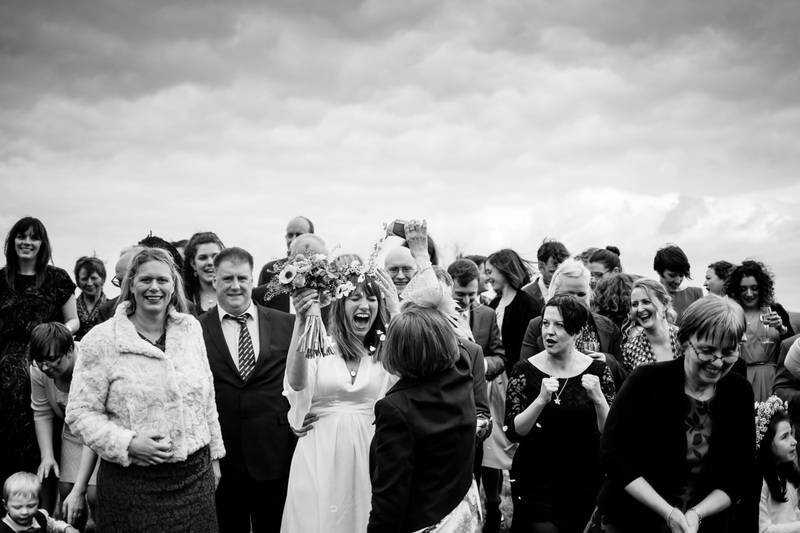 Wedding days are full of all kinds of emotions and all kinds of characters. 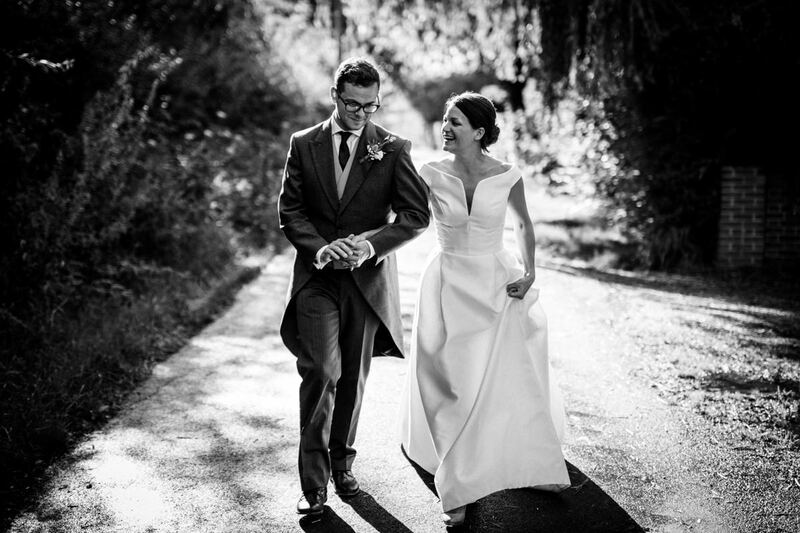 Traditional wedding photography, and its obsession with trying to ‘orchestrate’, nearly always misses the romance, beauty, humour and sheer joy that’s already naturally there. Here below is an image I took seconds after a formal group picture. I could tell their was a giddy atmosphere and anticipated that something might happen that would be funny and tell a story, so I simply swapped to a longer lens and carried on shooting. Below is a more commonplace image of the nerves a groom often experiences just before the bride arrives at the ceremony. 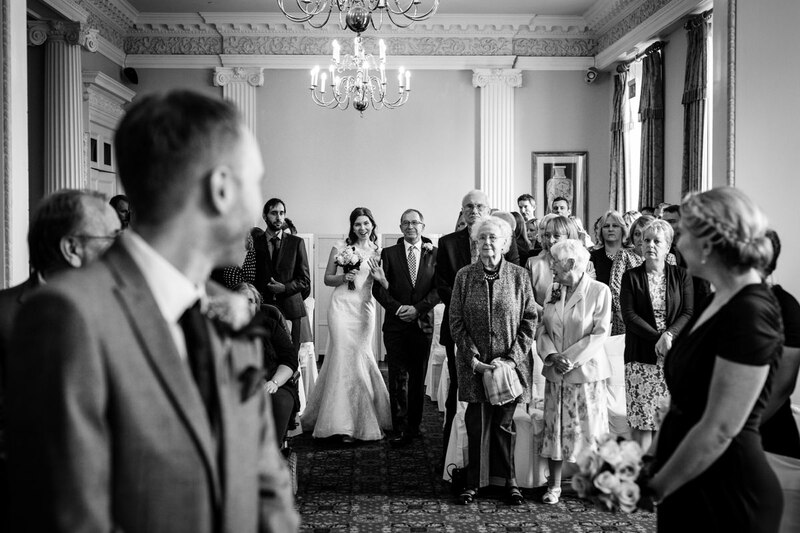 I chose this one because it’s goes further and shows the moment he realises, by the reaction of the wedding guests, that something is happening behind him. So it has an element of humour too. In fact, humour plays a big part in my photography, mostly because it draws the viewer in to an image like nothing else and is often just below the surface ready to burst out, even in the most solemn moments, like this one below. The best reportage photography also tells stories that nobody else sees. Below is an image that contains both the bride and the groom and yet neither was aware of what the other was doing. As a documentary photographer my attention is also constantly switching between the whole scene, and the small details and gestures. And my pictures reflect this. 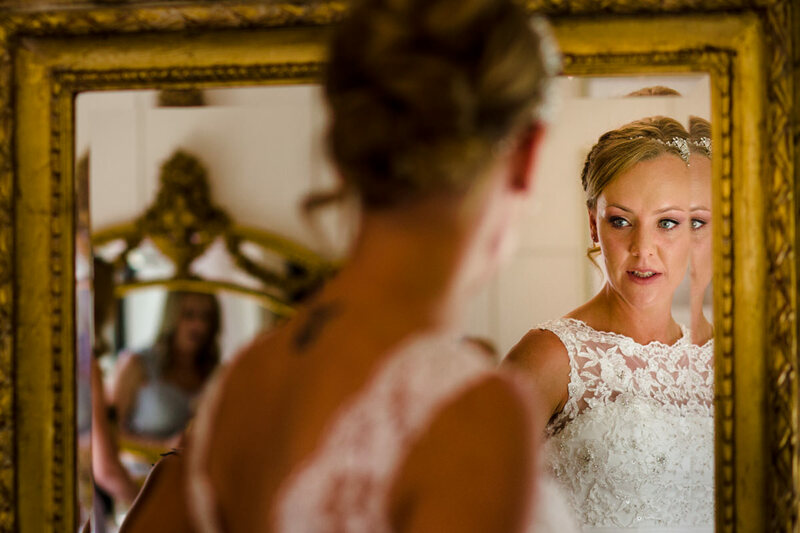 Here, a bride is taking one final look in the mirror and then just a few minutes later a wider-angle view of the very last-minute make-up alterations. 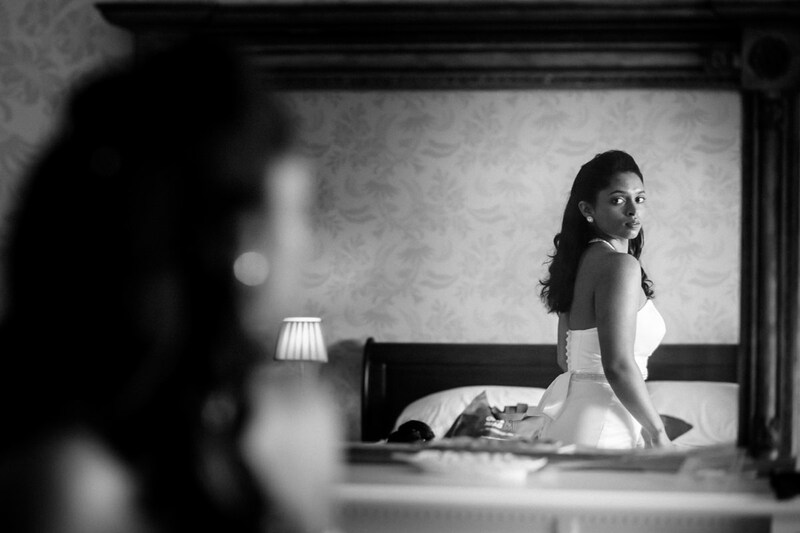 So how do documentary wedding photographers capture all these stories and emotions? In short, they have to be students of the human condition. That sounds very grand, but it’s true. 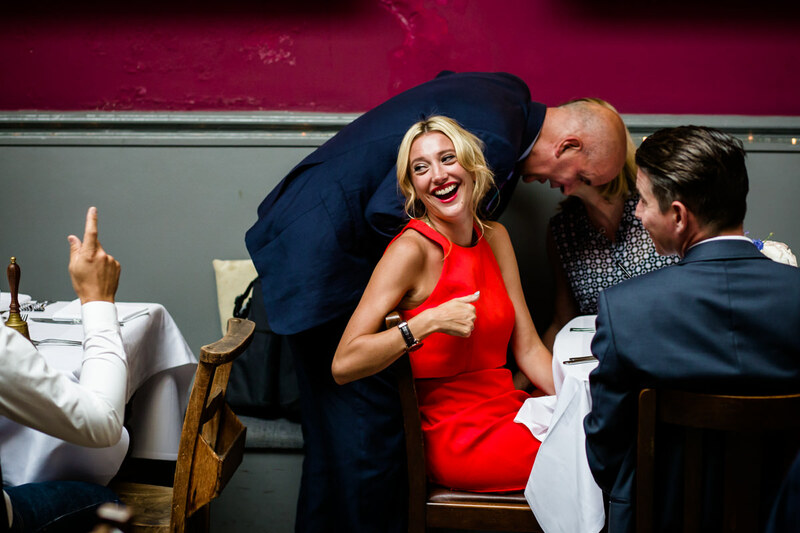 One of the joys of being a wedding photographer is being allowed to observe and ‘read’ people. Their body language, how likely they are to make interesting gestures or to be quiet and watchful. I call it ‘visual eavesdropping’. So observation is very important, but then there’s the instinct to use it to create an interesting picture. Good photographers don’t just go around snapping photos of people who laugh a lot or wave their arms around. A good image needs to be ‘well composed’. I’m always looking out for interesting scenes that contain several different elements that tell different stories. Then I try to be in the right place to ‘arrange’ all the parts so that they’re pleasing to the viewer. Here below is a good example of this type of picture. Another technique I use is reflections, but I try to use them as creatively as possible, not just for their own sake. 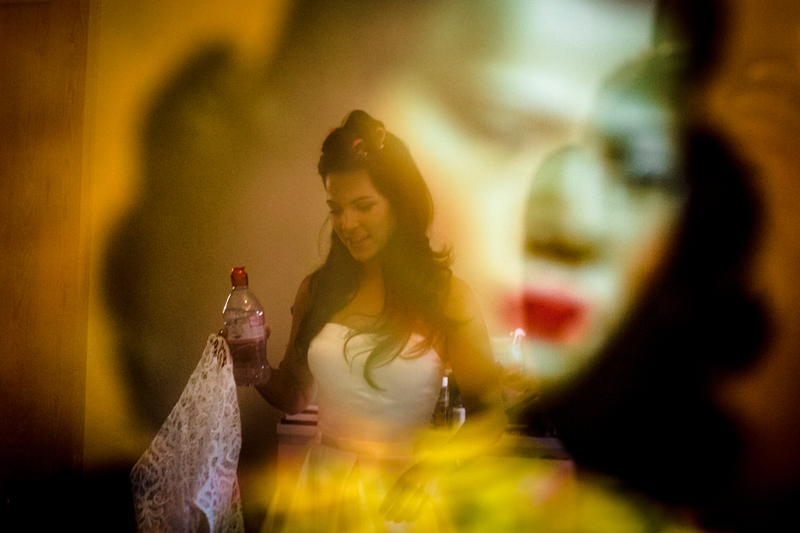 Below is a shot of the bride reflected in one of her favourite pictures placed on a bedroom mantelpiece. So there’s the inclusion of a valued possession, plus the repetition of black hair, the red of the lips with the red of water bottle top, the downward tilt of both heads and the ‘picture inside a picture’ technique. 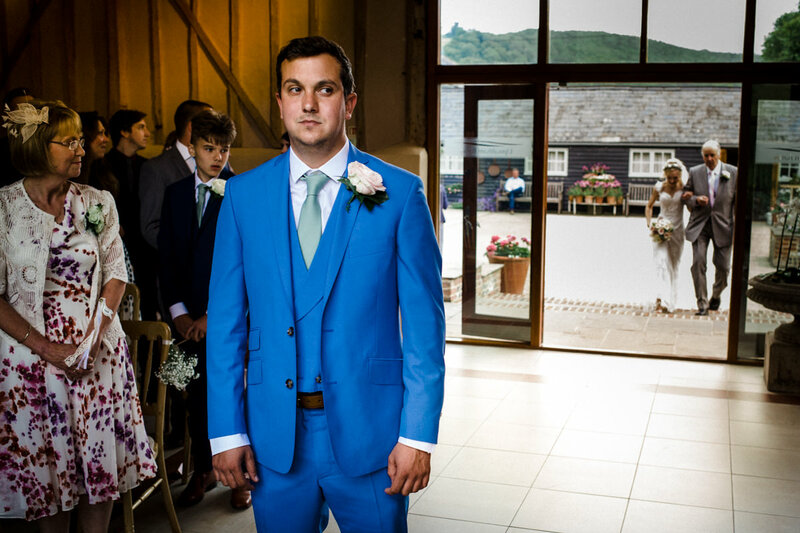 Blending in at weddings is a must for all documentary photographers – being able of get close to the action without being noticed too much. There’s no way I could have captured this scene (below) without being out there on the dance floor myself with a wide-angled lens. Talking of interesting scenes, I’m always on the look out for a sequence of images. I wrote an earlier blog here about how I sometimes tell a mini-story within the bigger story of the whole day when I see an interesting scene unfolding. 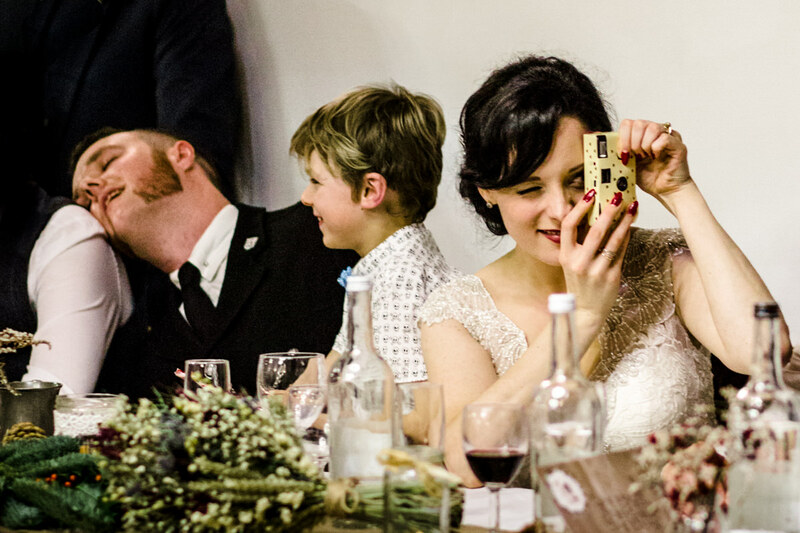 There is beauty everywhere at weddings, but the best kind of beauty is authentic and unforced. Of course, good photographers need to be able to create beautiful posed and semi posed images, such as this. But I nearly always find the most beautiful images are the candid ones. So to finish, here are a few of my pictures that I think radiate beauty, joy and quiet, everyday kindness…naturally.